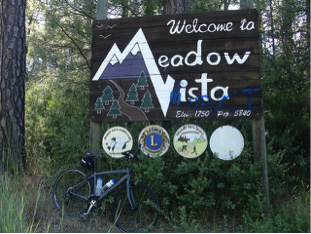 Meadow Vista is located in Placer County, CA just off CA I80 from Auburn. It is a small community nestled in the foothills of the High Sierras with a population of 3,156 making Meadow Vista the 9th largest city in Placer County. A It is low enough to enjoy a light dusting of snow in the winter and high enough to avoid the fog and heat in the summer of the Sacramento Valley. For those who ski, it is close to Truckee and the ski slopes and a short drive to Reno, Nevada for exploring more history. There are various outdoor activities close by to participate in such as hiking, river rafting, kayaking, fishing, and bicycling.